Another super quick lunch recipe for you! 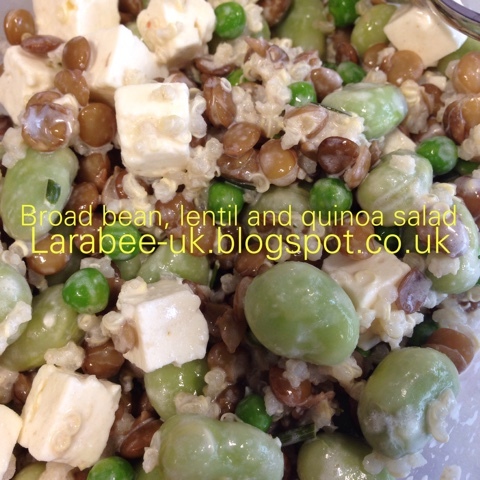 Remember the lentil and quinoa Greek salad I posted last week? Well this is what you could do with the remaining lentils and feta and only cook up the quinoa once, similar ingredients but 2 completely different tasting salads. I like to make this the night before I'm having it for lunch, that way, everything is suitably defrosted. 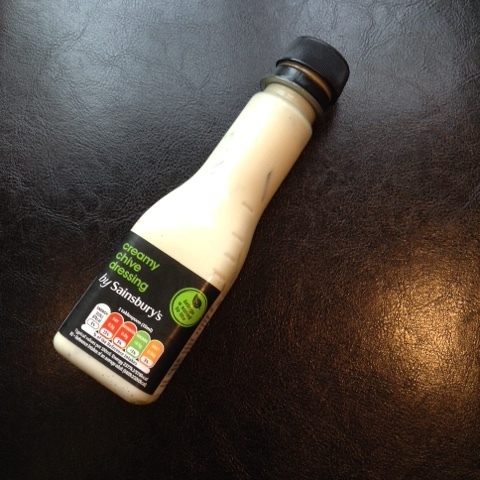 * I use this dressing from sainsbury's although it is quite high in fat and 87 calls per tbsp I think I'm getting enough veg, calcium and protein in this meal to be worth having this too. This sounds delicious, I can't wait to try lots of new salads over summer. Nice for a packed lunch or picnic in the park!